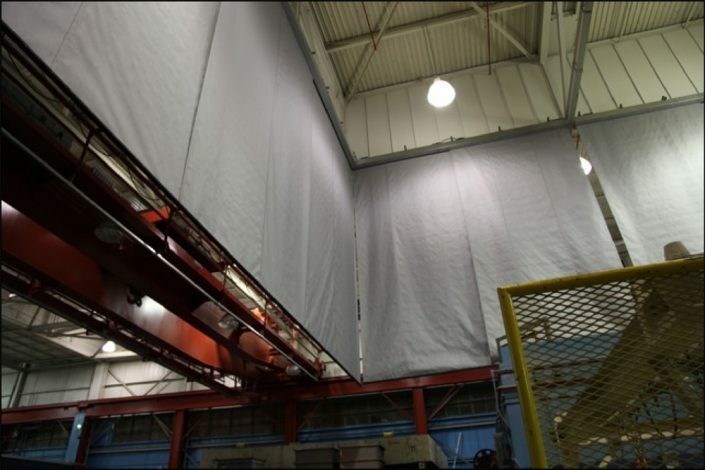 The DSI Draft Curtains, alternatively known as: Fixed/ Static Barriers or Fixed/Static Curtains are ideal for providing smoke control in industrial or commercial locations. 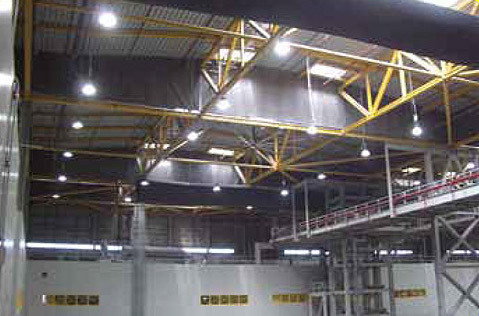 There are also buildings and departments stores that have open atria designs spanning many floors and to prevent the spread of smoke and fire from one floor to another and to facilitate the rapid extraction of smoke, many of these buildings use a roof level access system complemented by an inlet make up air facilty and the deployment of Draft Curtains around the perimeter edge. Sophisticated control systems allow for the draft curtains to facilitate these strategies by employing staged and separate deployments, level by level or even curtain by curtain, with multiple alarm inputs being reacted to. Smoke compartments are formed to prevent smoke spreading throughout a building. 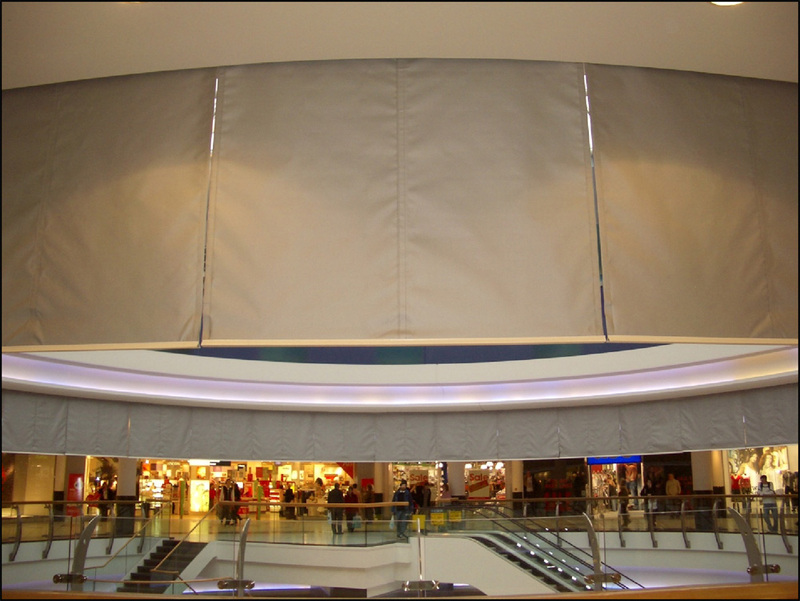 Our draft curtains are impermeable to smoke-leakage, within set criteria and offer a level of resistance to heat. Draft or Static curtains are also used for smoke channelling. It is often desirable to direct smoke into certain zones for extraction. This is formed using small, rapid drop and often zone controlled banks of curtains. 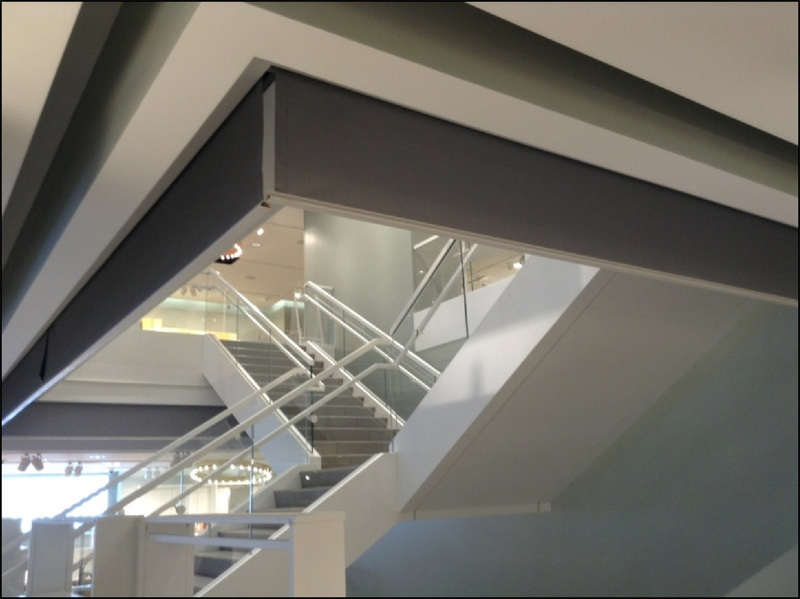 The major requirement for this type of curtain is fast deployment, minimum deflection and high degree of tolerance to hot smoke. Static Draft Curtain incorporating X32K fabric. 120 minute integrity (E) to 600 degrees Celsius for smoke channel use. 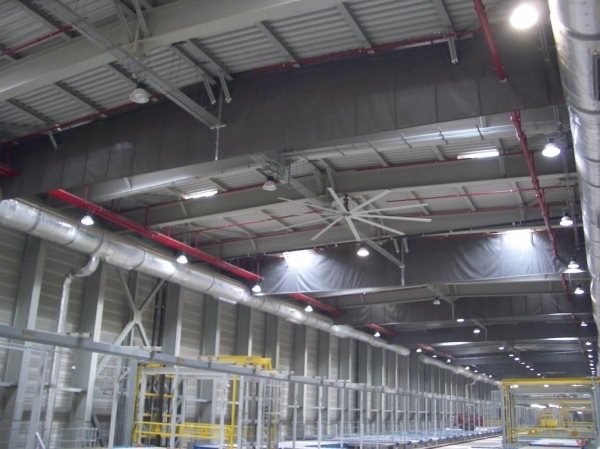 Meets the requirements of Annex C of BS EN 12101-1:2006 for smoke sealing. Manufactured to suit any shape/size. Pocket hem for conduit to increase rigidity. Custom fixing methods available to suit most requirements.